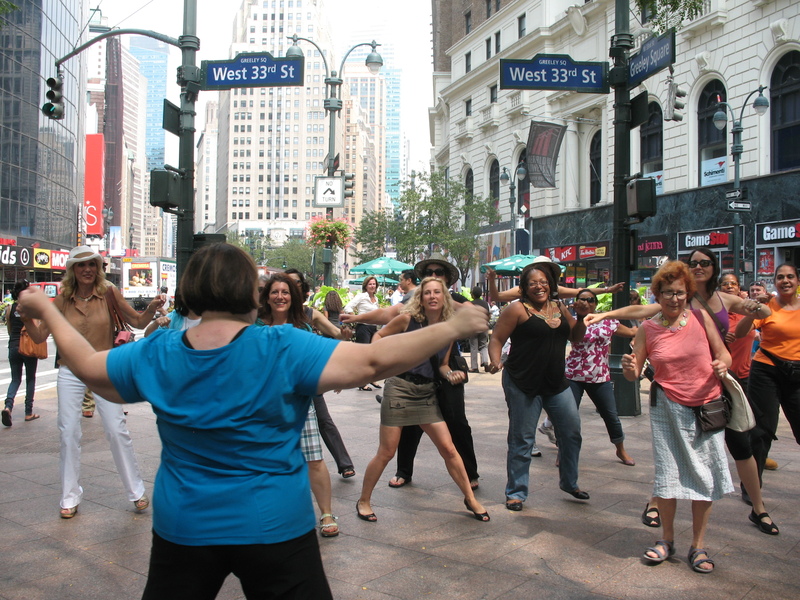 The Fat Chick leads a group of laughing and dancing menopausal and perimenopausal women in a Hot Flash Mob in Manhattan. Are you perimenopausal? Many of us have come to think of menopause as something that happens to “older women”. Many of us don’t believe that we are old enough to be experiencing perimenopausal symptoms. But denial ain’t just a river in Egypt, ladies. As my Mom once told me, “I had been talking about ‘those old ladies’ as if it was a group that didn’t include me. I had kind of a rough day when I realized I needed to start saying ‘we old ladies’!” But denial aside, this condition can begin long before the moniker of old lady could reasonably apply. Perimenopause is the segment in your life between when your periods start to change and up to a year after they have ended completely. This process typically begins in your 40s, but may begin in your thirties. It typically lasts five to fifteen years. Some women have significant symptoms and some women have no symptoms at all. Vasomotor symptoms like hot flashes, night sweats and simply sweating more. Psychosocial symptoms like anxiety, impatience, poor memory and depression. And physical symptoms like body aches, fatigue, and insomnia. There is a lot of debate about treatment for menopausal and perimenopausal symptoms. While some doctors suggest hormone replacement therapy (HRT), there may be significant risks associated with that approach. Some studies indicate that HRT is effective for treating the vasomotor symptoms like hot flashes and night sweats. However, other studies indicate that HRT may increase risk for breast cancer and cardiovascular disease. And HRT hasn’t proved very effective at coping with psychosocial or physical symptoms like body aches, fatigue, weight gain or insomnia. But do not despair. There is significant and growing evidence that regular, moderate exercise can be extremely effective in improving Quality of Life (QOL) and relieving perimenopausal and menopausal symptoms. Regular fitness activities have been show to increase brain function and offer relief from depression and anxiety. Exercise can improve overall mood even 24 hours after the original exercise session. A recent study indicates that women who engaged in moderate physical activity had significantly reduced hot flashes, sweating, weight gain, bloating and issues with intimacy. Menopause and perimenopause can be a difficult time in a woman’s life, but it doesn’t have to be. This time can also be a time of great creativity, strength and power. And, as the women who have participated in The Hot Flash Mob Movement (created with partner Dr. Eve Agee) have learned, it can also be a lot of fun. And whether you are pre-menopausal, perimenopausal, menopausal or post-menopausal, exercise is a safe, effective, inexpensive and fun way to have a better quality of life. 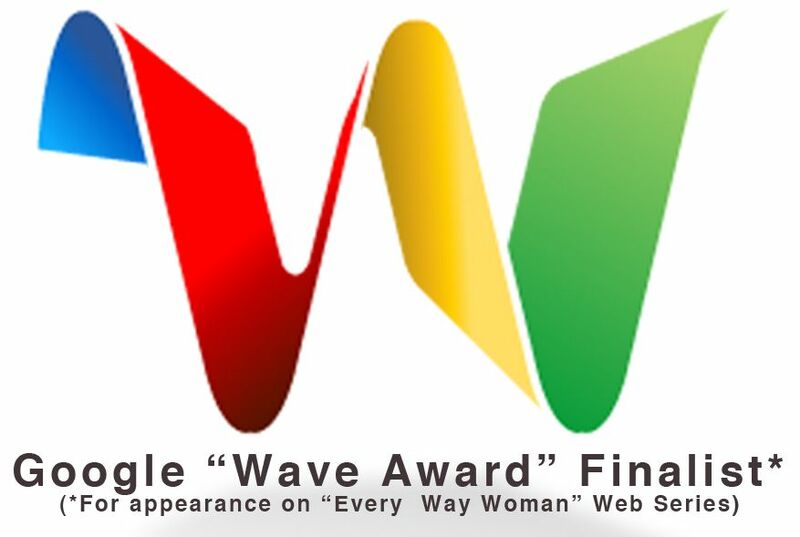 So ladies, why not gather up some girlfriends, lace up your sneakers and get to it! You’ll be so glad you did! This entry was posted in Uncategorized and tagged body aches, brain fog, dance, exercise, fatigue, Fun, hot flash mob, hot flashes, insomnia, memory loss, menopause, menopause mambo, moderate exercise, night sweats, perimenopause, quality of life, risks of HRT, the hot flash mob, vasomotor symptoms on November 28, 2012 by fatchicksings.